Liv is asking for her own Facebook page. My immediate answer was, "Oh no! You are too young and you don't need that!". However she quickly pointed out that I have my own page and that even our blog has a page. Why can't she have one too? I have mixed feelings on the issue of a young girl having her own Facebook page, but I have to say that I really do enjoy mine! Over the years many people cross our path and then end up taking a different path out of our lives. Facebook has allowed me to catch up with some of those friends who I most likely would have completely lost touch with. From my computer here in Carlsbad I saw Annalies compete in gymnastics in Maryland, Carli make the competition cheer team in Indiana, Marla's surprise birthday party in Kentucky and Peggy's umpteen jars of canned produce from her own trees in Humbolt County! 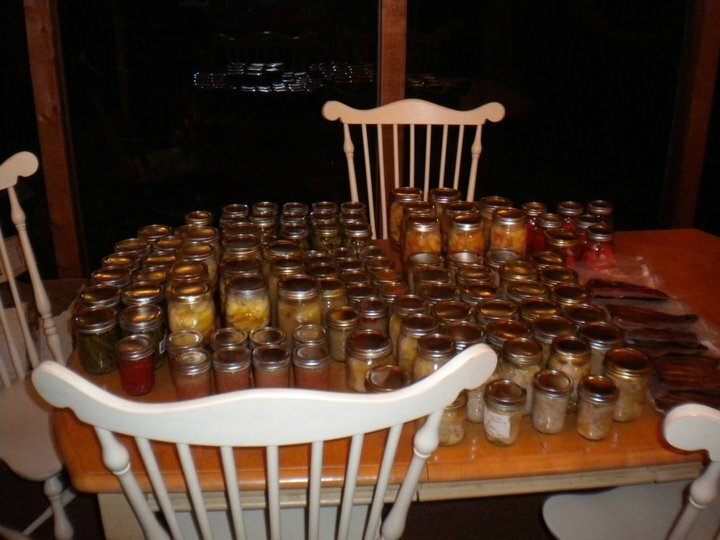 Green Beans, Apple and Peach Pie Filling, Applesauce and Tomatoes... all in one day! Peggy and I went to high school together a few (many...) years ago and have reconnected through Facebook. While I have never been to her home in Humbolt County I know that she is frequently busy in her yard caring for and pruning what sounds to be quite an orchard! 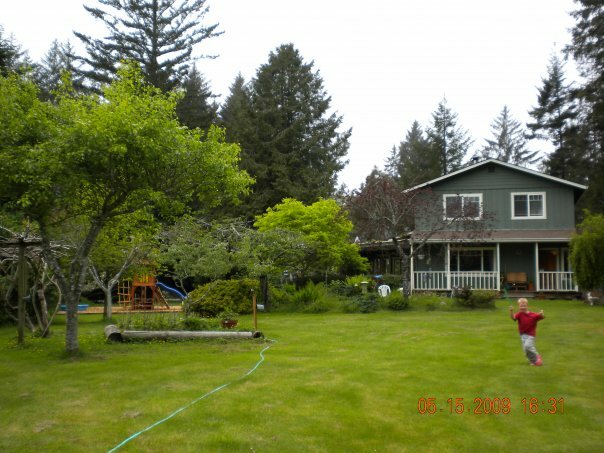 Trees including apple, pear, cherry, peach, plum and the occasional kiwi vine keep her family busy picking fruit and canning the produce, providing endless jars of amazing treats as we see above. A Facebook comment led me to ask for and receive this wonderful recipe for Pear Brandy Butter from Peggy's wife, and with a bowl of ripe organic pears on my counter I had the perfect main ingredient for this sweet sauce. Having never made, used or tasted any sort of fruit butter before I wasn't quite sure what to expect, but this fruit butter was a "sinch" to make. The house smelled like fall and the recipe provided a beautifully colored sauce somewhat reminiscent of a fairly thick, pureed apple sauce. Now what to do with it? Peggy recommends using it as you would an apple butter, maybe on toast or a muffin, or as a side or glaze to pork or chicken. I for one can vouch that it is wonderful atop my morning oatmeal and I'm guessing that my dad will use his over a scoop of vanilla ice cream. Which ever way you choose to use yours, this simple recipe is definitely worth a batch or two. How do you use your fruit butters?? Without Peggy's orchard near me, I adapted the recipe to a small batch and as I tend not to like a high sweetness factor I reduced the sugar. 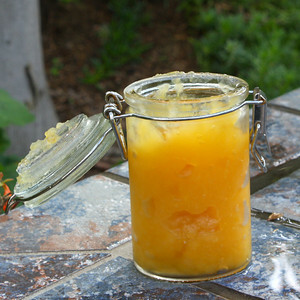 Combine pears, sugar, orange juice, brandy and 1 tablespoon of the lemon juice in a heavy saucepan. Reduce heat to a simmer and cook slowly until the pears are very tender, about 30 to 35 minutes. Spoon the mixture into a food processor or blender (or use an immersion blender!) and puree it, in batches if necessary, until it is smooth. Return the mixture to the heat and simmer over low heat, stirring frequently, until it is very thick, another 25 to 30 minutes. 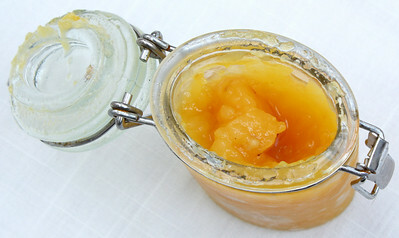 I never made my own fruit butter but I'd enjoy it over a fresh baked biscuit or croissant or even better, as a topping on a slice of cheesecake. I love apple butter, so I'm sure this would be great, too! So yummy! Wow Peggy's good. All that in one day. I've never had pear butter before, I bet it was good. I see Liv's point, maybe you can make her one under yours. Mmmmm...this looks so good! It would "pair" well with the banana bread recipe I just posted! I've never made preservers or the like...maybe I should!!! That would go great on a warm slice of rustic bread. Yum, yum. This looks good, but can I do away brandy? 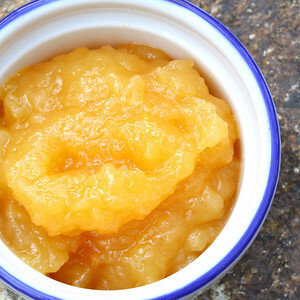 I've never had pear butter but love apple and pumpkin butter. This looks and sounds delicious (can't go wrong with adding a little brandy). I bet it would be wonderful with a bagel, topped with cream cheese and the butter (which is how I eat my fruit butters). I saw your post title in my foodbuzz inbox and immediately clicked over. That butter just radiates rich fall wonder. Fruit butters are great spreads. I've put it on toast, bagel, english, muffins, okay all kinds of breads, meats, ice creams. And just eaten a spoonful to savor all by itself. I've never made fruit butters before. I could totally use these for so many things! I bet I could mix this with cream cheese and yogurt to make a sweet fruit dip! MMM! And you canned apple pie filling? Such an awesome idea! I haven't canned or made a fruit butter, but when I saw your post on FB, I was so inspired. Looking forward to trying this soon!! My daughter would love this with pork tenderloin or chops! Thanks for the idea!!!! I absolutely love the color of the pear butter. I made apple butter this year but haven't tried any other fruit butters. This one may be one I have to do though. Thanks for sharing.